I was interviewed by old friend Pete Tyjas for his Eat, Sleep, Fish ezine. 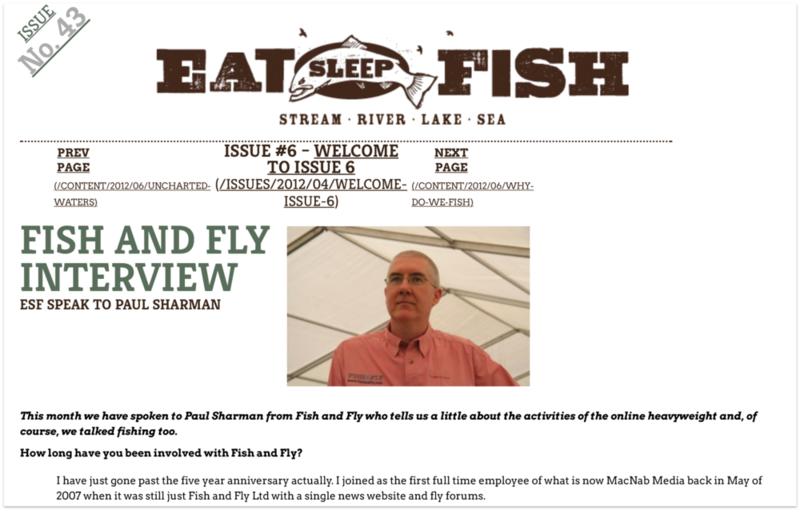 Dubbed the "Fish & Fly Interview", Pete Tyjas of Eat, Sleep, Fish ezine delved into the history of what became MacNab Media and also my own fishing roots. As editor of both FishandFly.com and FlyForums.co.uk which had dominated the UK online fly fishing scene for so long it was good to get the chance to answer some questions about both the history of where it all began, my association with the company and where it is at now.